I purchased my tickets for Black Panther the day after they announced pre-sale tickets were available. I got the tickets for a Saturday showing for the first weekend because I wanted to see it with my brother and that was his day off. I was ready for this film. I had been ready for it for years. Then I get a text from my friend since 8th grade. He had tickets to an early screening for Monday before the premiere. Was I in? We went to the movie and it was amazing. The movie was self-contained but progressed the Marvel Cinematic Universe towards Infinity War. The story was well-written, it surprised me, it was funny and it touched me. This was the movie that I had been waiting for and didn't realize it. I'll give you the the spoiler-free synopsis and my feelings about it and save a full breakdown and what resonated the most with me for the second part of this review. 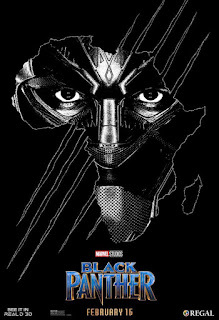 Black Panther is the story of T'Challa becoming king of Wakanda and assuming the mantle of Black Panther, a title that is earned and not given. This is also the story of Wakanda figuring out its future role in the world. 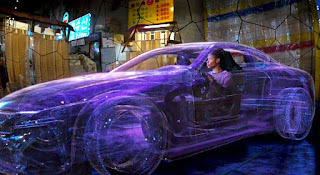 Is the correct path for Wakanda to remain a country that is cloaked in secrecy or is it time to step forward and take a pro-active position with the technology developed from the possession of the space metal vibranium? I don't want to give too much more away because I want, no, I NEED you to see this movie. It is a fun ride in the usual way that the MCU has been for the past decade but in a new way that steps away from what some would say is a formulaic superhero movie treatment. There are definite vibes I felt while watching this that made me think of the first Thor movie and Wonder Woman, but I think that was mostly because those films also dealt with royalty, generational issues, isolationist kingdoms and, with Thor, technology far more advanced than the general human world has witnessed. Eat your heart out, Stark. But, this movie is more than that. It is an expression of joy and an invitation to try something not new but not nearly seen enough. I took joy in this movie not just for the excellent story and acting but also for who was playing those roles. As a Black person, particularly in this country, you are used to a certain story being told using people with your faces. There are stories being told constantly with you playing a background character, or maybe a magical plot device for the main character to grow or a sidekick. Very rarely are you the hero and usually you are alone or one of few POC characters in the entire film. Black Panther tells a story with a cast that is, with the rare exception, almost entirely people of African descent. And the story isn't tragic or based on pain. The joy that brings in that is hard to describe if you don't get to see it regularly on the big screen. Even in a fictional place, I like to see this. To not have to do mental gymnastics to place yourself in the position of any character in a movie is so great and not to have to see a movie where it's not about fighting oppression or witnessing horrors done against your people is such a breath of fresh air. Those stories are important and valid, yes, but sometimes watching something uplifting and fun and not totally trauma inducing is equally or more important. Those rare movies are hardly ever made and when they are they are not always well done. Black Panther is one of the few that accomplishes this. 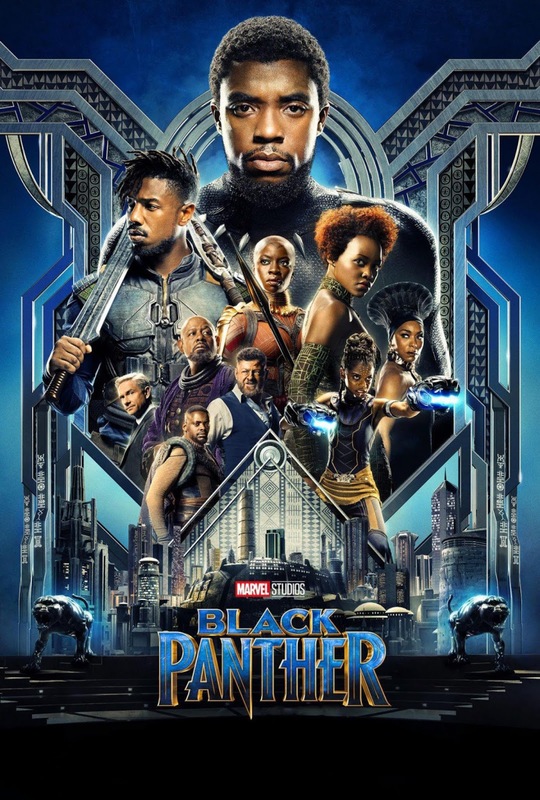 I can go on and on and laud this movie but the fact is you need to see it for yourself and form your own opinion of Black Panther. No matter if you are a Black person, a POC or neither, there is something to enjoy in this story. It works even without the intimate knowledge of past MCU films as well. I think you will come to the same or a similar conclusion to me about T'Challa story and ultimately the story of his people- Wakanda forever. SPOILERS abound for Black Panther. DO NOT READ THIS before seeing Black Panther. PLEASE. Centuries ago, a meteor containing the metal vibranium fell to the Earth and landed in Africa. This meteor gave the people of this land access to the sound absorbing metal and also made a certain plant in the area grow a heart shaped herb that granted superhuman abilities. One of the tribal leaders ingested this metal, gained power and brought peace to the warring tribes of this country. He became the first Black Panther and united the five tribes into the nation of Wakanda, including the Jabari tribe who live in the mountains. They become an advanced people developing technologies far beyond the other people of Earth and built a barrier that disguised their country as a third world land to the outside world. 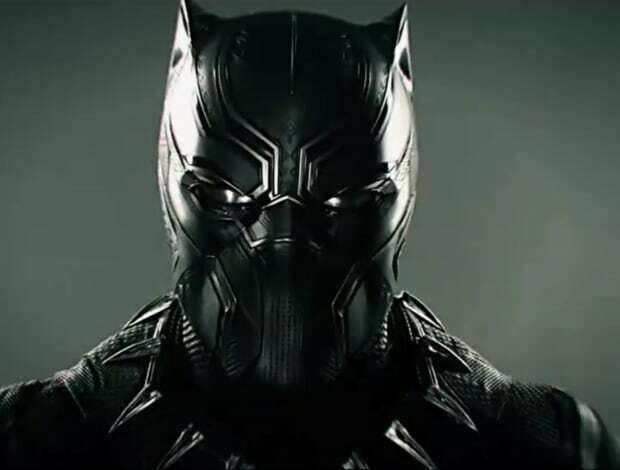 Black Panther takes place pretty much after the events of Captain America: Civil War. King T'Chaka of Wakanda is dead, his son has captured his murdered Zemo and T'Challa has to return home to do what is required of him as a prince of his country. But before we can get to that, we flashback to 1992 in Oakland, California. 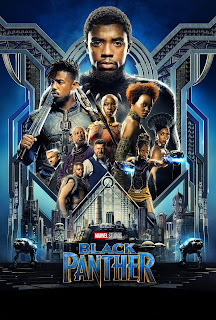 (It is a Ryan Coogler film) Two young men are planning some sort of armed mission when they are interrupted by the arrival of two Dora Milaje, the all female king's guard, and the king himself, a young T'Chaka. It is revealed that one of the men is actually the king's brother, Prince N'Jobu, who has been sent out on an undercover mission for Wakanda. While on this mission, he witnesses the way people, particularly the African-American community is living and suffering and wants to use the resources of Wakanda to help. The king disagrees and also accuses his brother of giving information to their enemy, a thief and arms dealer named Ulysses Klaue. N'Jobu denies it but his cohort is revealed to be another War Dog spying on him by the name of Zuri who has already informed T'Chaka. N'Jobu pulls out a gun and T'Chaka kills him to protect Zuri. They leave his brother there to die and return to Wakanda. Now, we are back in present day where T'Challa has picked up his ex-girlfriend and Dora Milaje member named Nakia with the help of General Okoye of the Dora Milaje. Nakia also believes that Wakanda could doing more to help others and travels the world secretly doing good. They all return home where T'Challa must go through traditional combat to gain the mantle of King and Black Panther. Most tribes refuse to produce a champion to fight him but the Jabari leader M'Baku challenges and T'Challa, without the aid of the heart-shaped herb, defeats him to become rightful ruler. Just some dudes enjoying a day at the museum. Meanwhile, Klaue is on the search for more vibranium. He is alerted to a vibranium weapon by an African-American, ex-Black Ops soldier named Erik Stevens who has gained the name Killmonger for all the people he has killed. They steal the weapon from a London museum and Klaue goes to South Korea to sell it to CIA agent Everett Ross, who was last seen in Civil War. 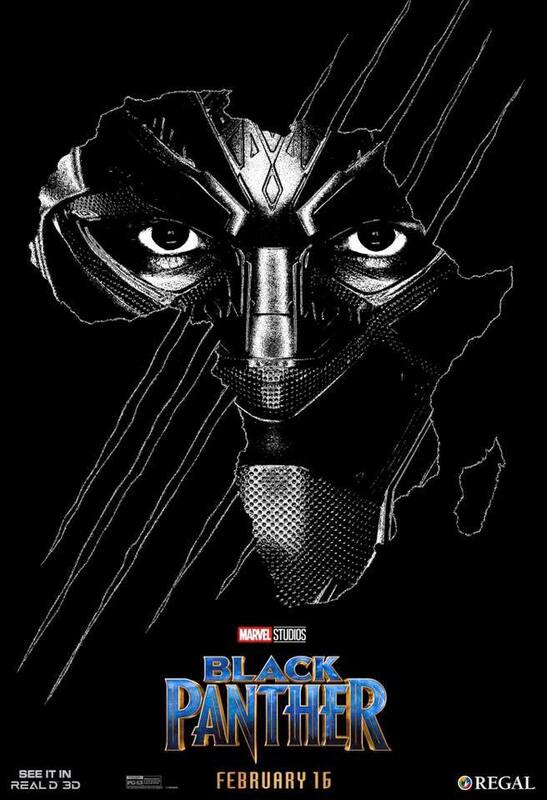 T'Challa is informed of the plot and travels to South Korea with Nakia and Okoye and they capture Klaue. During the course of the CIA interviewing him, Klaue is freed by Killmonger and Ross is critically injured while attempting to protect Nakia. They take him back to Wakanda to be healed by T'Challa's sister Shuri and he learns the truth about Wakanda. T'Challa sees a ring that is the same as his father's around Killmonger's neck and asks Zuri why this man would have it. At first Zuri doesn't want to tell him the Oakland story but he does and reveals that N'Jobu had a son that they left in America- Erik Stevens aka Killmonger. Hello, cousin. Nice throne you have there. Klaue and Killmonger are making their escape to find another buyer when Killmonger tells Klaue to drop him off in Wakanda. Klaue refuses resulting in a shoot out and Klaue's death. Killmonger makes his way to Wakanda with Klaue's body in tow. He gains access to the royal council with the help of T'Challa's best friend W'Kabi, whose parents had been killed by Klaue, and with the War Dog lip tattoo his father gave him. He challenges T'Challa for his throne as he is royalty and his cousin. T'Challa, knowing the truth accepts. T'Challa has his powers taken away again and faces Killmonger in combat. After a brutal back and forth, Killmonger defeats T'Challa and is about to land a death blow when Zuri steps in and Killmonger kills the man that caused the death of his father in his eyes. He then throws T'Challa over the waterfall and is crowned king. He quickly reveals his plans to use the War Dogs and spread vibranium into the world to help the oppressed people of the world revolt against the people in power. He also burns the heart shaped herbs, except for one that Nakia steals, and takes the Golden Panther/Golden Jaguar armor for himself. Nakia takes Shuri, Queen Ramonda and Ross to the Jabari lands for help from M'Baku. While there they learned that the Jabari have a gravely injured, comatose T'Challa. He is given the last heart shaped herb and confronts his father and his ancestors about their choices in the land of the dead. He realizes he must stop Killmonger and choose a new way for Wakanda. Killmonger has already begun the process of loading up vibranium weapons to be shipped around the world to his agents. This is when T'Challa returns in full Black Panther gear and tells Killmonger since he isn't dead nor did he yield that the combat challenge for the throne isn't over. 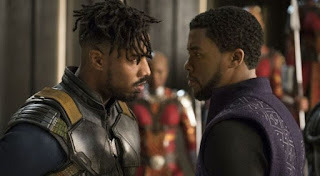 A furious Killmonger orders his forces to kill T'Challa. W'Kabi and his tribe obeys but this is a bridge too far for the Dora Milaje. They form up into two groups- one to protect their true king T'Challa and the other to defeat Killmonger in his armor. This is not the group to be on the wrong side of. 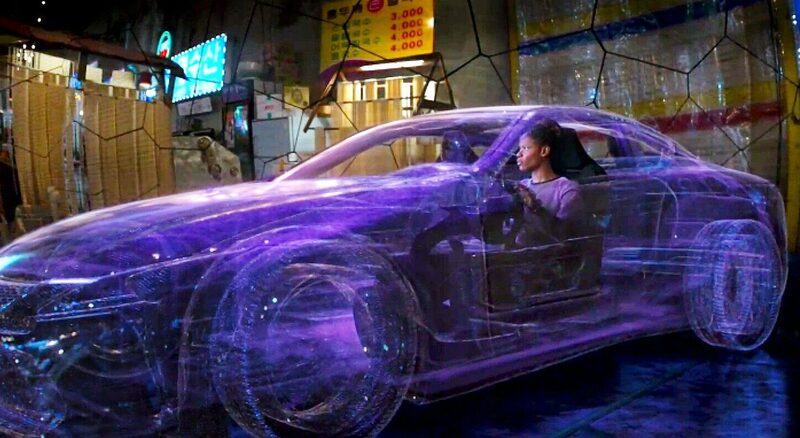 Shuri, Ross and Nakia have infiltrated Shuri's vibranium mine laboratory to get weapons for Shuri and Nakia while Ross has to remotely fly a Wakandan ship to stop Killmonger's shipments from leaving Wakanda. Shuri and Wakanda face off against Killmonger who has defeated the Dora Milaje who attacked him. T'Challa and his Dora Milaje are facing stiff resistance from W'Kabi's tribe and their armored rhinoceros. Yes. There are armored rhinos in this movie and it's amazing as you think. It's going bad for T'Challa until the Jabari show up for backup. 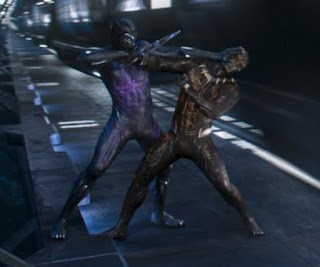 T'Challa sees that his sister is in danger and tackles Killmonger into the mine where they fight on the sonic regulated vibranium tracks that steals power from both of their costumes. Purple and gold- colors of royalty. T'Challa eventually gets the upper hand and stabs Killmonger, mortally wounding him. Killmonger recounts to T'Challa his father's tales of the beauty of Wakanda and T'Challa carries him outside to see a sunset. T'Challa offers to save him using their technology but Killmonger knows that this will just mean prison and would rather die. He tells T'Challa to bury him at see like his ancestors who died in the Middle Passage. Killmonger dies and T'Challa begins to see some of the wisdom of his words and in Nakia's similar mission in the outside world. T'Challa makes some choices following this. He invites M'Baku to give him counsel. He buys up land in Oakland to establish an embassy so that Nakia and Shuri can begin to give assistance to the outside world. Finally, in the first post-credits scene, he offers aid to the world and reveals Wakanda's true nature for everyone to see. In a final post-credits scene, we see Bucky has recovered and is out of stasis. Shuri is there, waiting to reintroduce him to the world, which is good since Infinity War is coming. Like I said, this movie was enjoyable and I know I say it pretty much after every MCU movie is released but this might be my favorite one. I think I believe that more than I ever have. There are connections to the greater MCU but this movie also works as a stand alone film. It has layers and it has heart. T'Challa's character is definitely explored more and the serious guy we met in Civil War is still there but his love and his humor is shown. All the actors in this nail their roles, the script is compelling and everything feels real and nuanced. I'm going to see Black Panther again. Maybe multiple times. You should see it at least once. You will not be disappointed.